Serious Question: Do you imagine others actually recognize your value? OK Business Entrepreneurs, this is really about the Business of Recognizing Yourself__ so Others Can. We’re living in a 21C new world__ I call it 21C Business Unusual. Because we’re all having different kinds of conversations across more platforms than we ever could imagine. Right. Some days, we’re not even sure how we’re going to manage our messaging – and keep it on target, consistent and, of course fascinating. So taking a close look at your business brand and the story you tell – as well as the subliminal messaging you put out to the world 24/7 – is one of the best ways to recognize who are you, what you do, why it matters — and why anyone should give a damn. The best news? A Brand Audit makes sense of the messaging dialogs going on inside your brand brain, help you to turn the lens inwards on your unique creative value, embed your individualistic energy into your brand – and then, help you be willing to show up in a more mindful and authentic way. FYI One of the most common questions that keep coming up with my clients is: how can I best communicate who I really am on this new 21C brand landscape? How can I speak in my own voice and get the right tone — so others know exactly who I am and understand the kind of value I bring to the table? 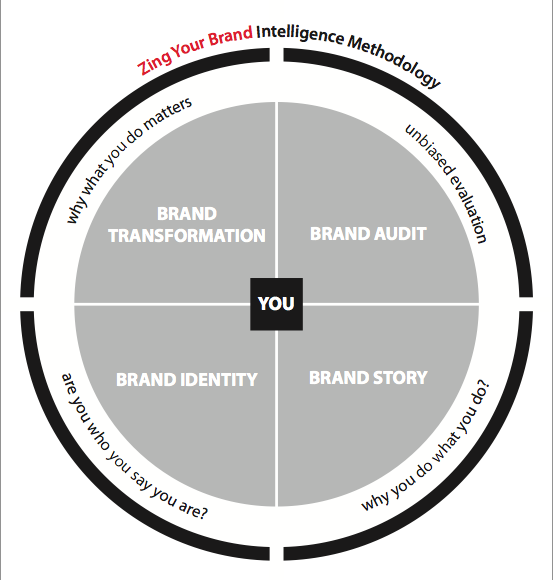 A brand audit helps you start re-imagining and reframing the way you think. It doesn’t matter whether you’re looking to close more sales, stand out in the marketplace, get promoted, build a community or looking to kick start your business. It will help people understand who you are and what you stand for. 1.) Brand Audit: An Un-Biased Evaluation. Because every healthy, highly-functioning brand wants a bit of honest feedback, evaluation, assessment and help getting on the right track. Booking an Audit is where you get help in pulling back the layers, finding out what’s really going on behind your brand and story, the points of pain that are getting in the way __and then, wet get to turn it around so you’re not shooting yourself in the foot, anymore. Ask yourself: is my messaging communicating who I am, what I do and why it matters? This process is really about bringing more meaning and purpose to the business table. How willing are you to evaluate, assess and tweak the kind of messaging you are sending out? PS It takes courage. Take away: Look for the clues that might be doing your business a disservice. Ask your colleagues for their honest feedback. Is your site communicating the message you want out in the world? Does it reflect you, and your own unique value? And is it obvious and clear what your purpose is? Plus how easy are you making it for others to pick up on your value? 2.) Brand Story: Why you do what you do. Because every healthy brand loves a well-articulated and irresistible story. This is where you look at YOUR WHY. Because understanding your WHY will give you all the clues you need to create a meaningful story. This is about coaxing out your creative core essence and getting right to the heart of your brand. Where to start? Start tapping into the reasons why you’re working at what you do. Or why you started your business in the first place? I bet you have a remarkable ‘back story’ that would fascinate people. As in: share something about you that they’d never be able to know. Articulate that story. Make it personal – be creative and courageous, again. Ask yourself: Are you willing to get out of your comfort zone? Actually open up just a little so others can get to see you, know you, like you — and trust you. Because that’s when people reach out to you, want to work with you and your organization, hire you. On a personal note: When I started sharing my story of being a Dutch sea captain’s daughter, I was amazed at the reaction. Some people had trouble remembering my name but they had no problem remembering the Dutch sea captain’s daughter. Because it’s a potent, visual picture that tells a story and it lands a spot in their psyche. Interesting, right. 3.) Brand Identity: Are you who you say you are? Because every healthy brand longs for a fascinating identity. We live in a design-driven culture. So you better get used to the fact that design is here to stay! It’s never been more important to pay attention to the design aesthetic around your brand. Ask yourself: Is my logo, color palette and language inviting, warm, energizing — or is it making people want to look the other way? 4.) Brand Transformation: Why what you do matters. Every healthy brand adores fine-tuning along the way. In this final step, think about WHAT you do and why that matters. Why your audience/tribe should care about buying from you. This is about paying attention to bringing as much energy and mindfulness to your brand so it feels alive, engaging — and totally authentic. If you still think your website as a kind of ‘static holding place’ that really has no significance in the scheme of things, you have to think again. Everyone is checking your website. Before they choose to work with you. Before they make that call to you. It’s the energy you create around your site and online presence that is now the determining factor. Ask yourself: Rather, ask some of your favorite clients/colleagues for some seriously-honest feedback. As in: What kind of feeling do you pick up when you go on my site? Does my online brand communicate what I am really like? What we really do? And the unique value I really bring to the table? If you’d like a little help around getting your brand audited, take a look at what we’ll explore in a 90 minute session. The best news? We’ll zero in on exactly what your brand most needs in order to land a spot on the 21C new brand landscape. Brand Marketing: How to amp up your Emotional Intelligence (EQ), strengthen your relationship with your audience and create more trust so they’ll be your fans forever. Emotional Intelligence: How can you keep you audience leaning in closer – hearts beating, eyes gleaming? We’ll monitor the kind of messaging your brand is communicating 24/7. Reality check: Your brand is sending out subliminal messages and invisible clues 24/7 whether you know it or not. Here’s to the business of recognizing who you — so others can! This article by Hal Conick, staff writer for AMA’s magazines and e-newsletters, was published September 12, 2016. I’m thrilled to be included! How can marketers take advantage of the freelance and entrepreneurial economy? Three solo marketers discuss their roads to success in independence. If you’re fed up with working for someone else, you aren’t alone. There were 15.5 million self-employed workers as of May 2015, according to the Bureau of Labor Statistics, up 1 million from 2014. While there’s no known statistic of marketers who have gone solo, there are plenty of marketing professionals who have struck out on their own within that 15.5 million. This may mean freelance, or starting a consultancy or business of their own. Aaron Zwas, director of emerging technologies at Digital Marketing Works, founder of Zwas Group and author of the book Transition to Independence, says the marketer’s knack for branding may make the transition easier. After all, they have an ability to self-market. However, marketers aren’t immune to difficulty when the product they’re selling is themselves. This exists among other common complaints. Marketers, or any other professional transitioning to independence, must ensure they have a long-lasting business model and a service that won’t go out of style. They also need the ability to adapt to changing times. This means not focusing too much on the brand, Zwas says; just enough to get recognized. The most common areas of failure are insufficient planning and prep, as well as lack of planning for how the non-work side of life will be affected by one striking off on their own. Zwas says independent-minded marketers should know they will have a leg-up on others, but they need to establish their area of expertise early and set proper rates competing on value instead of price. To highlight the path to independence, Marketing News spoke with three entrepreneurial marketers about their journeys to independence. Q: How was starting your own business at the beginning? How long did it take to get the hang of it? A: It was scary but exciting at the same time at the beginning. I had run large businesses at Kraft Foods for 10 years (the largest had a $300 million P&L), so I applied what I had learned there about building a plan and positioning my own business. And while applying my marketing knowledge to much smaller businesses was new territory for me, the fundamental skills and processes were the same at their core. It was a question of learning how to adapt them and teach the concepts to people unfamiliar with marketing. I was starting up, I also talked with a lot of people who were already independent consultants. I asked for their perspective and advice. I also asked everyone I spoke with how they were continuing to learn. This was a big concern of mine, as I didn’t want my marketing expertise to stagnate. The people I spoke with said that it typically takes about four to six years before you really feel like you’re in the groove. At about the four year mark, I really felt like things began to hum. Q: What’s the biggest advantage of running your own business? A: My clients typically hire me because they do not have internal marketing strategy expertise. That means they value what I contribute to their team and their business. It’s wonderful to be appreciated that way. I love being able to flex my time if I need to, but I generally work the same hours as my friends who are not self-employed. At my five-year anniversary, one of my friends congratulated me for not having had a boss for five years. I laughed and told him I’d had 40 bosses since I started. Q: Do you have any advice for marketers looking to go independent? A: Know that not all of your working hours will be billable. Rule of thumb is roughly 50% billable, 40% business development and 10% administrative. Paying for my own health care is the single scariest thing about being an entrepreneur. I run my business like a business. I track a 12-month rolling average of leads in and maintain detailed records of every single lead that comes in. I also track a rolling 12-month average of invoices, close rate, percent of referrals, etc. Always make time for business development. Q: Why did you start your own business? A: After working in a bunch of ad agencies (fired by two, hired away by six) I had so much freelance work that I decided working to make myself rich was preferable to making the senior agency dopes rich. Q: How was it? Did you get the hang of it quickly? A: I was always a business-type guy, and I’d been running a nice freelance operation, so the adjustment didn’t take very long for me. While I was working at other agencies, I took the time to learn about their business and operations. What worked, what didn’t. As a result, when I started F&A as an ad agency, we were–and remained–highly profitable. Q: What’s the advantage to running an independent business? A: No politics. More efficiency. No arguments or discussions with people who don’t share the same visions. Everything moves faster, smoother and usually more successfully. Q: What’s your advice for other marketers looking to make the transition? A: Adapt. Nothing is more important. Since its founding, Frankel & Anderson has morphed from an ad agency to a branding consultancy to a holding company for all my ventures, including my new book. I bought out my original partner very early in the game. He wasn’t a businessman. He was a very talented one-trick pony: all he could do is create ads. Probably still does to this day. I realized that the ad business was changing into a media-intensive business, and media was never my specialty: strategy was. So I adapted into a brand strategist, which is why I wrote. Q: What was it like starting your company? A: In full disclosure, it was almost effortless getting my own company up and running. That’s why I’ve always felt very lucky and very grateful, needless to say. Everything seemed to just fall into place. Q: What are the advantages you’ve found in independence? A: The best advantage? You get to pick and choose the kind of creative talent and energy you want to see every day. And look forward to seeing them every day. I’d say that’s quite a privilege. The ability to resonate with people, understand their values/experiences/stories and know they’re keen to bring more meaningful thinking to the table is a hugely exhilarating and rewarding experience. What’s more, if you find people with a high passion quotient, a keen sense of curiosity and the willingness to learn (and fail quickly)—then, it’s 100% win-win. You can’t teach those innate skills easily. What could be better than working in such good company? Example: Looking for a new designer? I’d choose the person (with talent, certainly) who had a spring in their step and that twinkle in their eye. You can spot that kind of energy the minute they walk through the door. Although I always had a small team, they were brilliant and highly eclectic individuals. I couldn’t have asked for more. Q: What advice do you have for other marketers looking to strike out on their own? A: Make sure you’re mad/crazy about what you do. And make sure you’re good. Very good. If not, you’re wasting your time. And everyone else’s. Master your own inner environment; know yourself (inside and out.) It’s not an option. What’s more, understanding what makes you tick is the game changer. Your mindset is the killer app here. So being empathetic, understanding how to listen to people and hear what’s really going on between the silent gaps is critical. Differentiate yourself from the rest of the pack. Be 100% clear about what makes you so different from your competitors. Of course, being a brander, I’m going to suggest that if you don’t build a brand that stands out like you mean it, you’re toast. Remember, your brand is really just a feeling people have about you. Make it easy for them to understand who you are, what you do, why you do what you do— and why they should give a damn. Being in partnership can make a big difference. (I’m sorry I never found the right biz partner.) But I’ve certainly watched biz partners dancing in sync, and it’s like magic. If you’ve got the inspiring, creative brain, make sure your partner knows about logistics. P.S. Business partnerships are like a marriage. Don’t fall into a biz relationship unless you know exactly who you’re dealing with. Trust helps. Attention entrepreneurs, startup CEOs, and small business owners: This is not your run-of-the-mill branding site! This is all about taking on the role of Brand Agent/Provocateur to turn your business around, and take off! Click here to see the extraordinary line up of business thought leaders and creative visionaries — ­all speakers at the Online Brand Reinvention Summit held Oct 1-2. 2009. Is your brand doing what you want (and need) it to do? Let’s face it. Right now is the time to step into your brand, and it’s only going to get more important in the future. Every whip-smart Brand Agent/Provocateur out there is working right now on leveraging, reinforcing and amplifying their brands. What about you? launched on the heels of the Summit, click on the link below!